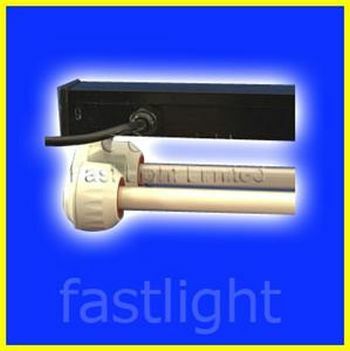 High Quality 24" (610mm) or 36" (915mm) fully wired and splash proof complete Plug & Go T5 'Marine Lux' Fluorescent Retro Kit providing exceptional performance, colour output, reliability and long service life for marine or freshwater tanks and aquariums. 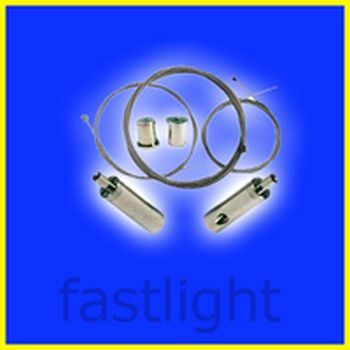 An electronic ballast is provided to ensure flicker free start up and extended tube life. All wiring and the ballast is safely contained within the main body of the fitting with computer designed individually adjustable parabolic reflectors are provided to maximise and direct the light output. 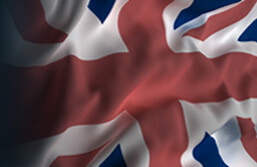 Supplied complete with a pair of Marine Lux High Quality High Output 24w or 39w T5 Fluorescent Tubes. The first picture on our listing shows the light in operation with one of each available tube fitted and lit. Optional Wire Hanging it available. Can be mounted within a hood or surround or hung using the supplied clip on brackets allowing easy removal of the complete lighting unit for cleaning or lamp replacement. 2ft (610mm) Version: 150mm Wide x 95mm High x 610mm Long. 3ft (915mm) Version: 150mm Wide x 95mm High x 915mm Long. Available tube options. 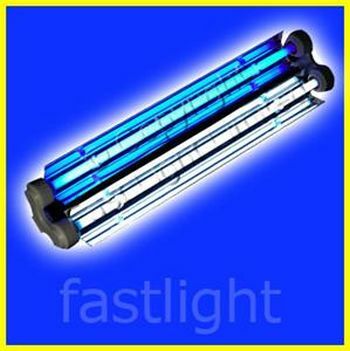 420nm Actinic Blue, 10,000k White or one tube of each type, the option is yours.